Located behind Blackhawk park office overlooking Rock River Coordinates Lat N 41 27.837" Lon W 90 34.378 "
The Sauk Indian Village on the rock River marks the site of the westernmost conflict of the Revolutionary War. 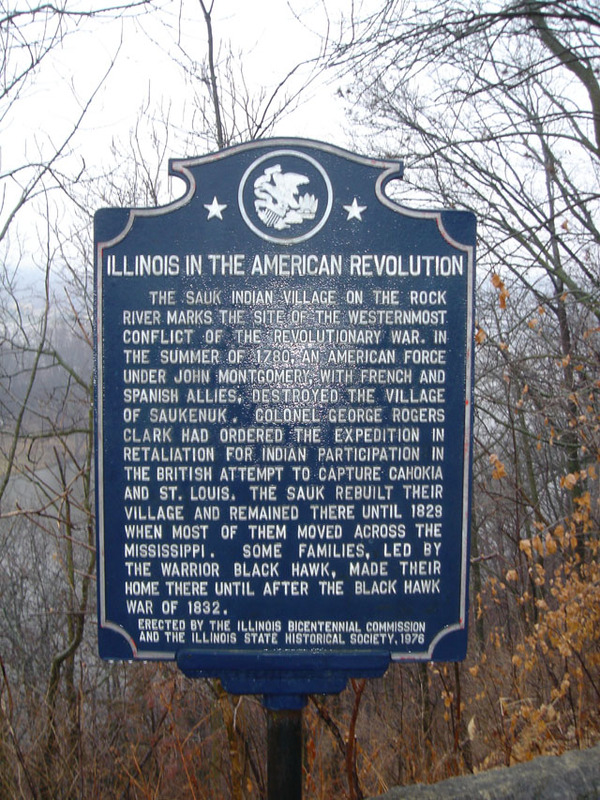 In the summer of 1780, an American Force under John Montgomery, with French and Spanish allies, destroyed the village of Saukenuk. Colonel George Rogers Clark had ordered the expedition in retaliation for Indian participation in the British attempt to capture Cahokia and St. Louis. 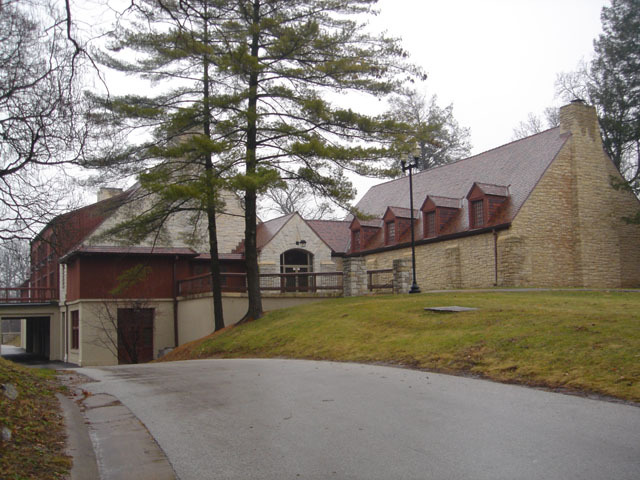 The Sauk rebuilt their village and remained there until 1828 when most of them moved across the Mississippi. Some families, led by the Warrior Black Hawk, made their home there until after the Black Hawk War of 1832.